A pair of alloy bells and grooved discs to fit all models of S2 using the standard 288mm discs. These are a direct replacement without any modifiactions. 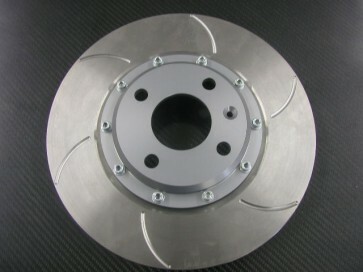 These are the very best value and quality alloy belled disc available for the S2! Unlike many brake discs for the S2, these have the correct cooling vane orientation for each side of the car. Supplied with AP Racing bolts nuts etc etc. Discs rota's also available seperately, so no need to replace the bells with each set of new discs.